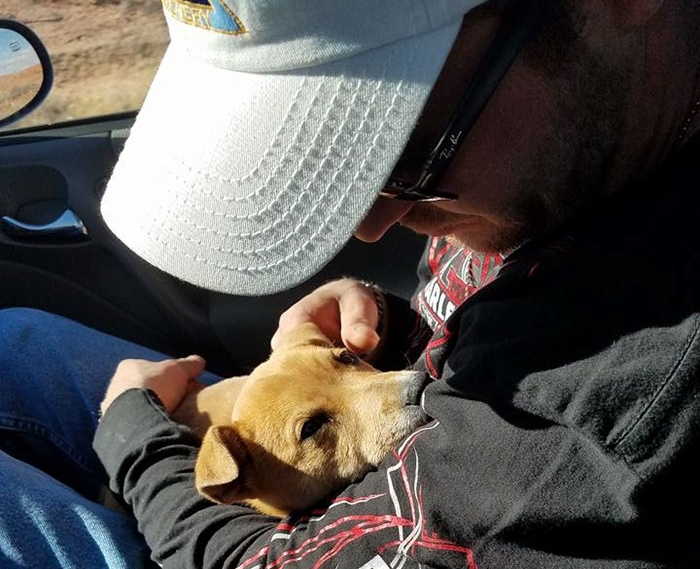 When Briggs LocHaven and his brother Chris Vanness were driving from Arizona to Colorado late last month, they spotted two puppies left on the road. "We found them off of Highway 191 and 160. My brother and I were on our way down to Phoenix, Arizona from Colorado to pick up our other younger brother. From what I can tell neither of them were hurt with any life-threatening injuries." "But if I had to guess they were extremely on the brink of starvation and I doubt they would have made it much longer.... my brother and I did plan on keeping them but our landlord would not allow it. 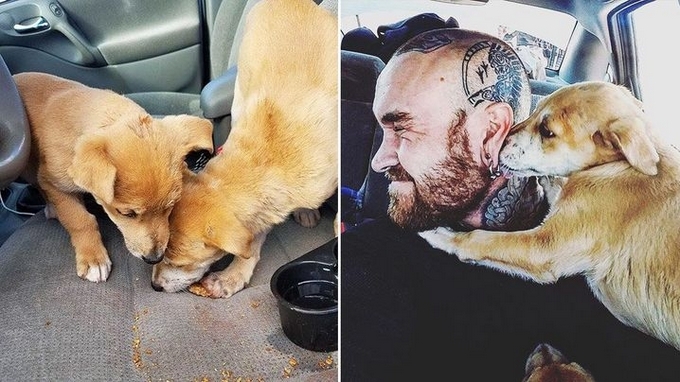 But I do have a really dear friend of mine who rescues dogs and raises them and she was willing to take both of them in along with her other rescue dog who has now taken them in as her own puppies. I'll send a picture of the pups with their new moma." "But the good thing is is that I get to see them and take them on Hikes too! So I have something like visiting rights." "The temperatures there are extremely hot during the day but at this time of year it does get down into the freezing temperatures. When we first got the dogs they were extremely skittish and very scared of loud noises most likely because they were fighting off whatever else was out there trying to kill them." 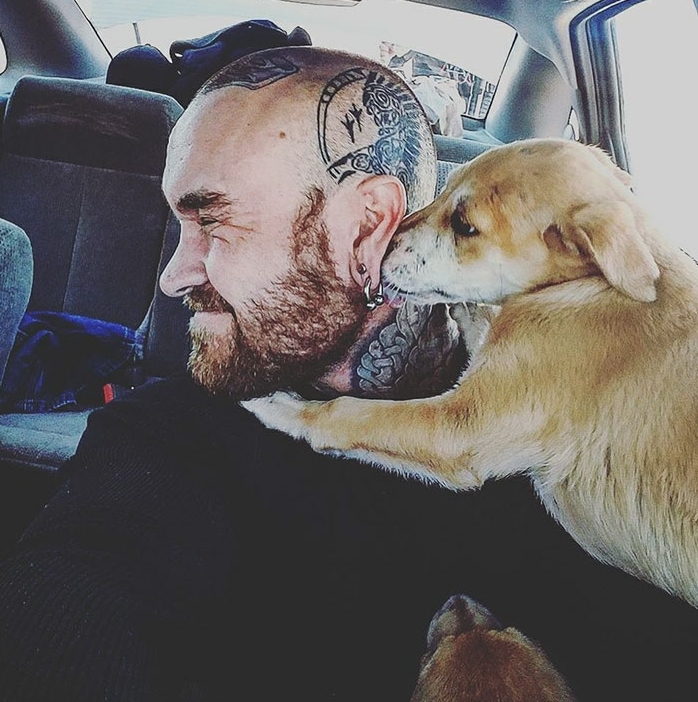 "But once we pick them up and gave them food and water they fell asleep on both of our laps for the remaining thousand miles of that trip. They refused to get off our laps as they slept." he told good news blog Love What Matters. 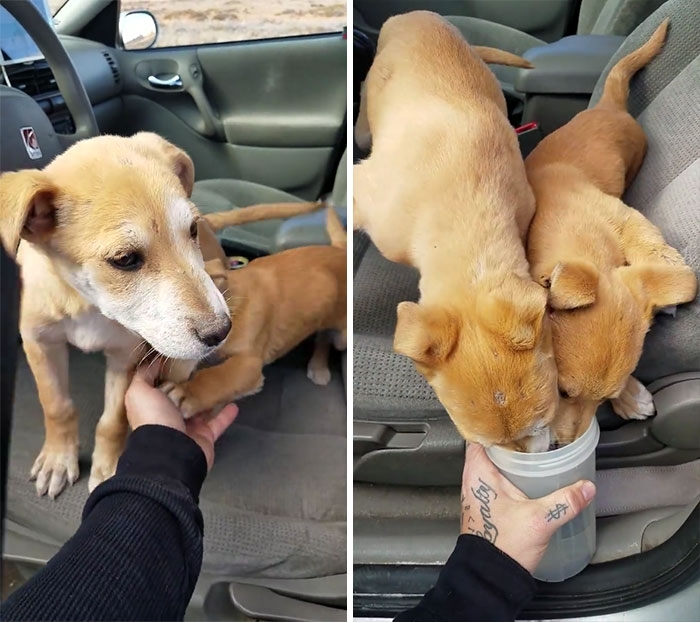 Responses to "Brothers On Road Trip Rescue Two Puppies In Middle Of Arizona Desert"
Thank you for saving them! Bless you guys! Good looking out. God bless you and the friend who takes in rescues.